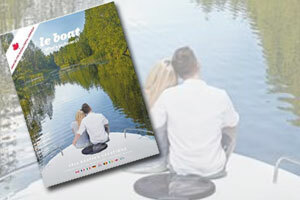 Le Boat, Europe’s largest self-drive boating company, has unveiled its 2018 brochure. Beginning mid-August, travellers can flip through the 62-page brochure and uncover the latest cruising experiences both in Europe and North America. One of Le Boat’s key highlights in 2018 is its new and exciting route in Canada. This will be the company’s first cruising destination outside of Europe. Le Boat is also relocating its North American headquarters to Smiths Falls, Ontario as it readies for the 2018 launch of a fleet of 16 vessels designed for multi-day outings along the Rideau Canal. It is also introducing two brand new boat models to accommodate larger groups. The company’s newest fleet of Horizon boats sees a new five-cabin addition in 2018 and sleeps up to 12 people. First introduced in 2016, the state-of-the art Horizon cruisers include a spacious sundeck with a barbeque and sunbathing area, a light and airy saloon, and a fully equipped kitchen with oversized windows. 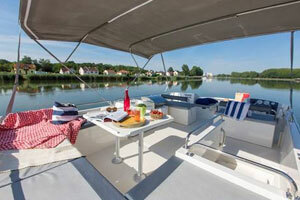 The new slick Minuetto 8+ boat in the waterways of Italy has four cabins and can fit up to 10 people. Its modern design includes a front and rear thruster for easy handling, air-conditioning and a dishwasher to match guests’ expectations for a smoother and more comfortable experience. Finally, Le Boat will be offering travellers even more flexibility. Starting next year, vacationers will be able to depart on Sunday from all the bases on the Canal du Midi and Camargue, as well as selected bases in Burgundy, Alsace and Italy. Le Boat is currently offering an Early Booking Discount to anyone booking selected 2018 trips now and for complete details, go to http://www.leboat.com .